It’s hard to believe it’s already September and the holiday season is rapidly approaching. With all the changes we’ve seen in the mailbox provider (MBP) space and initiation of privacy legislation we’ve seen this year, this holiday season will bring new and unique challenges to your email program. Looking back at 2018, it’s pretty clear a lot changed. Preparing yourself for this upcoming season will not be, and should not be, the same as in previous years. For example, the General Data Protection Regulation (GDPR) coming into force caused a lot of headaches for list owners who couldn’t meet the requirements of proof, and now may be dealing with a significant drop in list size. The on-going consolidation of MBPs, like the merger between AOL, Verizon, and Yahoo to make OATH, and the consolidation of the O365 and Outlook platforms into a single system, brings a new set of considerations. This is also the time of year you’ll start seeing an increase in filtering, bounces, and potentially even email blocking. To minimize these impacts on your email programs, consider taking a few proactive steps to get your emails into your subscribers’ inboxes on time and ready to impress. Dealing with each of the various delivery problems you might encounter takes a little bit of time to understand the cause and adjust to correct them. Since you’ll need to account for that learning curve, now is the time to make those adjustments, rather than when you’re trying to send your last Black Friday email before your sale starts. IP and domain warm-up should be started now. Waiting much longer could result in being rushed, giving poor results due to additional email traffic. If you plan on running win-back campaigns or re-activation programs, do them as soon as possible to help maximize consumers’ expectations. Do not do them during the holiday season, to minimize the number of spam traps, disengaged, or poor performers on your list. Clean your list of addresses dormant for more than 12 to 16 months. Sudden spikes in volume can cause MPBs’ filters to think there is something wrong and they’ll react with rate limiting, bulking, or mail filtering. Engage your ESP in a conversation about delivery plans, increased volumes and frequency, and escalation plans to help notify and resolve issues should they occur. Engage your reputation management provider to see if additional costs will be incurred, if additional monitoring can be arranged, and how to better configure your account to be more responsive to your needs. Share your mailing schedule with your account team to help them better manage resources available for your deployments. Not only are the holidays a big time for commercial email, but they are a big time for scam emails. Check to verify your authentication records (SPF and DKIM) are properly set up and reflect your current IP configuration. Less than 10 lookups for SPF and properly rotated DKIM tokens are a must. Consider adding a DMARC record for your domains in a monitor-only mode to help you see if you’re being targeted or have forgotten infrastructure. Test your integrations and data flows, and be prepared for increased volumes from online shopping and transactional notifications. Find a solution to ensure your entire workflow, from prospecting right on through to product delivery, is operating flawlessly and to understand the potential breaking points and proper escalation paths. Over-communicate internally and externally with your vendors about this to be prepared and have your emergency plans clearly defined. With the enforcement of the GDPR this spring and Canada’s Anti-Spam Law’s two-year limitation on implied consents, dipping into your inactive lists could cost you more than just a spam folder placement. More mail to subscribers from ESPs and more volume inbound to consumers, but the same amount of bandwidth and more competition for connections to the mail server makes for some pretty competitive emailing. In 2016, Sendgrid’s mail volume spiked to 1.6 billion emails for Black Friday; almost double that of their January volume that same year. These numbers broke 2 billion earlier this year, thanks to GDPR-related updates, so expect big numbers again this November. Designing for mobile used to be just a good idea, but more mail is opened on mobile than ever before, with multiple reports pointing to greater than 50% of opens happening on a phone or tablet. Mobile shopping experiences should be fluid and as rich as a desktop experience for consumers. Being prepared for the worst and making plans to help address issues will go a long way to reducing the pain of a blacklisting, rate limit, or bulk folder delivery. I know. It sounds like a lot. But reviewing and implementing these tips will help set up your program for success and ensure your messages have the best possible chance to making it into the inbox, before and after the holiday season. 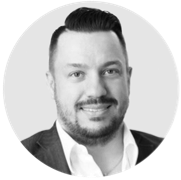 Matthew Vernhout is the director of privacy at 250ok and is a Certified International Privacy Professional (Canada) with nearly two decades of experience in email marketing. He actively shares his expertise on industry trends, serving as director at large of the Coalition Against Unsolicited Commercial Email (CAUCE), vice chair of the Email Experience Council (eec), and senior administrator of the Email Marketing Gurus group. He is a trusted industry thought-leader, speaking frequently at email marketing and technology conferences around the globe. Matthew has contributed to several benchmark publications during his career including DMARC Adoption Among e-Retailers, the eec’s Global Email Marketing Compliance Guide, The Impact of CASL on Email Marketing, and more. Tuesday, 20 May 2014 Preparing for CASL? 4 Must Dos! Thursday, 26 September 2013 Email Authentication – You’re probably doing it wrong. Hi Matt. This is very helpful advice. Traverse's Reactivation solution is the perfect way to safely reengage with dormant email addresses before the holiday season. We monitor activity across the broader Internet, and recommend Reactivating email addresses that are Valid, Active, and based on their behavior, likely in-market again for the marketer's products. I also agree that a marketer cannot attempt to reactivate email addresses that have been dormant for more than two years, otherwise they risk being on the wrong side of CASL.